MDF (Master Database File) file being the primary database file of the SQL server, holds schema and data artifacts of the SQL server. All the log details of SQL server are stored in a peculiar kind of file format that is available as .ldf file. The modifications to the database such as inserts, deletes and updates are stored in this LDF transaction log file. The need of SQL server forensics, i.e., forensic analysis of these MDF and LDF files occur in scenarios where it is required to detect a data security breach, levels of database intrusion, examining the stored information and much more. Unauthorized access to the database server often results in ambiguous and illicit actions such as erroneous transaction, capital loss, cyber bullying, etc. 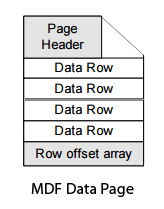 The MDF file consists of multiple data pages, each data page having multiple rows of fixed or variable lengths. The LDF transaction log file stores information such as Transaction ID, Page ID, Slot ID, Row Offset, etc. The error logs show definite information about the failed login attempts that have been carried out on the server. The startup and shutdown timestamp details. MDF stored information such as DDL operations carried out for schema changes. Active transaction log for viewing the imported Excel or Access database of information. Investigation of the Page Headers. The best part of this SQL Forensics Tool is that it is compatible to work with SQL Server 2016, 2014, 2012, 2008 / 2008 R2, 2005, 2000 database files. In addition to this, the software recovers all the stored triggers, rules, functions, tables and much more. With this SQL Server Database Forensics tool, the investigation process is acquainted with the analysis of NDF file too. The NDF file is the secondary database file of the SQL server. The tool auto detects the NDF database file on the target machine. The Quick and Advance Scanning algorithms embedded in the tool allow the investigators to easily dig into the heavily damaged or corrupted MDF files too. Recover the deleted SQL tables’ data that might have resulted due to the suspects’ activities. Carrying out the forensic investigation of the SQL server is not a piece of cake. But if conducted with the proper methodology, by keeping in mind the necessary requirements, the required evidences can be carved from the MDF and NDF files.